Do you want to Earn Free Mobile Recharge?? Recharge is an all time debatable issue among Indian Users. There are many Free recharge tricks prevailing in the internet but most of them are mostly scam or useless one. 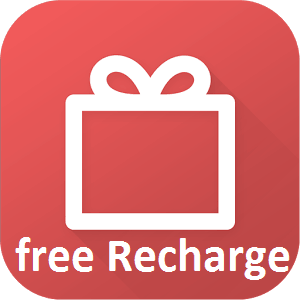 But here I will show you a genuine app to earn free recharge. Remember No one will give you recharge without doing anything, atleast some hard work you have to do. Ladooo is an amazing android app which provides free recharge for downloading certain apps which they will provide. It is genuine app and never cheats though sometimes they take much to detect that you downloaded the rewardable app . At the end of this article , I included some proofs of my earnings through this wonderful application. This app also contain wallet which stores your earned money and through this wallet you can easily recharge any mobile number. Normally I recharge my whole family’s mobile using this app so I don’t have to spend anything . Ladooo offers some apps to download and when you download they reward you with some mobile recharge . ( All prize Money are specified with that applications offer). Its basically app advertising platform . After downloading that app , you need to use it for only 30 seconds . After that in few seconds they will add amount in your account from which you can redeem later when it reach minimum Rs20 . Though it may take some time to the credit for downloading app but generally it doesn’t take more than 24 hours . Moreover they redeem and recharge our amount very quickly . Thats the biggest and best point of this platform and thats why I liked it the most. 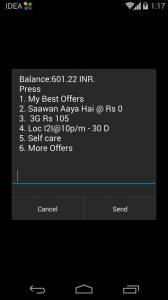 * Unfortunately Postpaid recharge is not available but postpaid users can recharge other their frnd’s mobile easily. > After Installing the app , open the app and register by filling the required information. > Refer your friends to this app and earn Rs5 per referral. In some great occassions , they give Rs10 per referral so never miss such offers. > Referral Income is best way to earn free recharge easily . Share this with your friends in facebook and whatsapp etc and earn Rs5 per user you refer . Since 8 months I never paid for mobile recharge. You can see my balance snapped today only. This depicts the true potential of Ladooo App. Though there are many other alternatives to ladooo application but this one excels in every corner. Thus I really recommend you to give it a try. Also I suggest you to try other apps simultaneously. Was it Helpful??? Comment your views and experience below. Also Please share this with your friends and help them to earn free recharge easily the way I do.